The Drain Guys Ltd - Drain/Sewer Clearance, Plumber based in Codmore Hill, West Sussex. The Drain Guys are your local Drainage and Plumbing company providing a 24-hour emergency service 7 days a week as well as fixed price drain and plumbing work right across Sussex. We are a friendly independant and local company offering a wide range of drainage and plumbing services. We take our customer service and satisfaction very seriously indeed and go out of our way to not only make sure we get the job done but that we clean up after ourselves, we are polite and that we deliver the agreed work at the agreed price. Gavin Dimmock heads up the team and has years of experience working with all kinds of drainage and plumbing issues in all kind of properties. We are also available for any kind of emergecy drainage work and offer a 24 hour 7 day a week service. If you have any concnerns about a slow draining sink or shower then please get in touch. Problems like this rarely fix themselves and only get worse so call us today and we can get it moving for you. We are offer a clean and quick service for baths, sinks, showers and toilets and have experience working with the elderly and vulnerable as well as other domestic and commercial customers. You may have noticed a smell outside, or that everything in the house is slow to drain. This could be an indication of a blocked drain under the property or in the grounds. We are able to identify the blockage or damage to the drain using our CCTV equipment and then solve the issue. Damaged drains,if left alone, can cause a lot of problems and should be dealt with as soon as possible. Call us today if you have any worries about your drains and get the issue repaired before any damage is done. 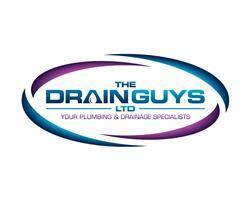 Whatever the problem; if it's drain or plumbing related then The Drain Guys can help. We are local, independant and offer a reliable, quick and high value service.